Six weeks ago, Batman v Superman (BvS) finally arrived in cinemas. It was essentially about 100 minutes of a jumbled nothingness in order to get two superheroes to take opposing sides and smash each other black and blue. It was a tremendously disappointing film. So upon entering Captain America III: Civil War, with the prospect of a dozen superheroes taking sides and smashing each other up, was one right to be apprehensive? Hell no! Tony Stark (Robert Downey Jr) and Steve Rogers (Chris Evans) have a sensible discussion about the pros and cons of signing up the Sokovia Accords. 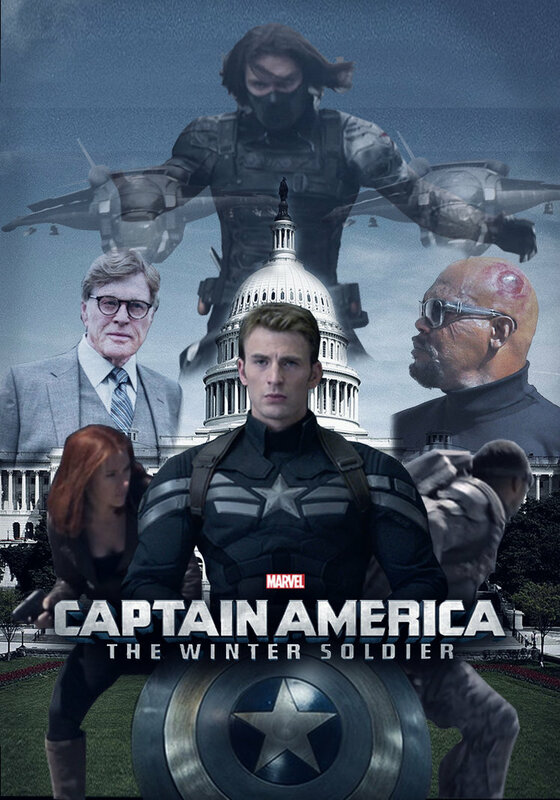 Put simply, Captain America III begins shortly after the events in Sokovia (the final battle in The Avengers II: Age of Ultron). The world is furious with the Avengers due to the amount of death and destruction they caused. As a result, the UN have issued the Sokovia Accords and want to ratify them, to ensure that the Avengers will be unable to act without UN approval in future conflicts. Tony Stark/Iron Man (Robert Downey Jr) agrees with the need for the accords and general oversight since he feels guilty for the carnage the Avengers caused; particularly as he created Ultron. However, Steve Rogers/Captain America (Chris Evans) disagrees. He believes in his own judgement and claims to know when it is best for the Avengers to act, not the UN. This splits within the Avengers down the middle as some take Stark’s side while others take Rodger’s side. 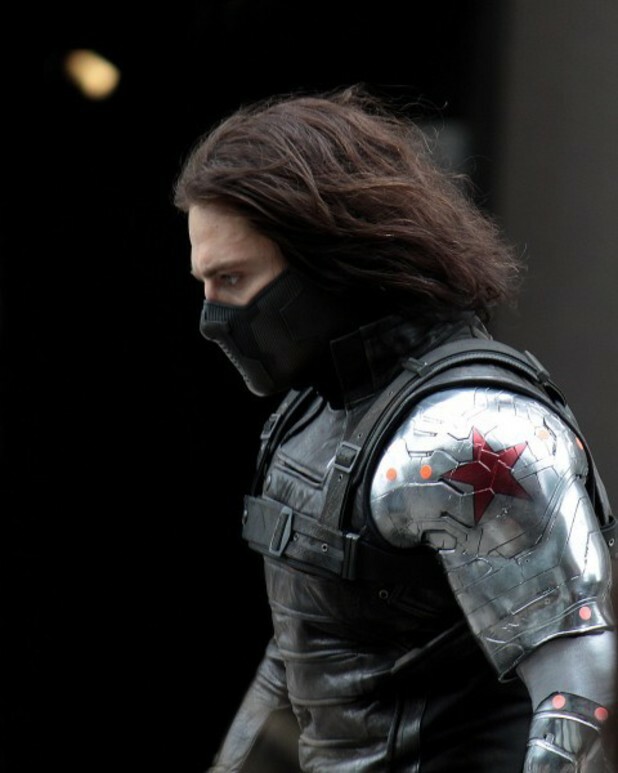 Complicating matters further is the return of Roger’s friend, Bucky, aka the Winter Soldier (Sebastian Stan). Stark believes he is a great danger, but Rogers does not. And so the civil war begins. Captain America III is a lot of fun. It is 147-minutes of continuous smash ups involving our favourite Avengers characters (minus Thor and the Hulk), with some aspects of a storyline (or three) in between all the fighting. Unsurprisingly, the plot makes little sense. But to give directors Anthony and Joe Russo credit, the plot for Captain America III makes considerably more sense than BvS (despite having three times as many characters). In addition, the tone is consistent and enjoyable due to its carefree comic nature, in stark contrast to BvS’s imbalance of ultra-seriousness and unrealistic, over-the-top fight sequences. Captain America (centre) and his side of the civil war, consisting of Bucky (Sebastian Stan), Scarlet Witch (Elizabeth Olsen), Hawkeye (Jeremy Renner), Anti-Man (Paul Rudd) and Falcon (Anthony Mackie). 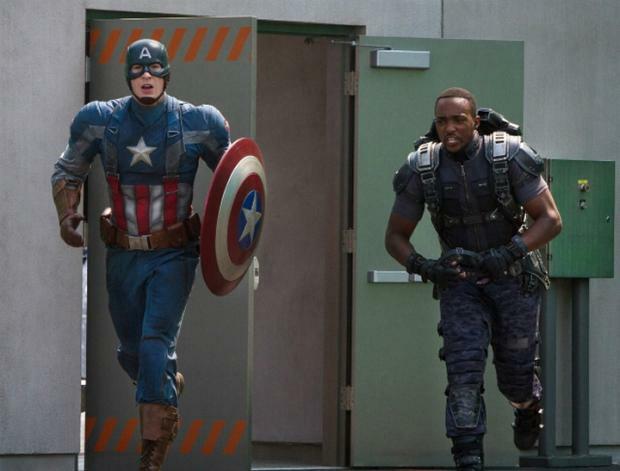 Captain America III gets a lot right. Nevertheless, it is too long and the constant bashing that the superheroes do to each other does become repetitive. One can have a snooze in the movie, wake up and still be watching the same fight scene or a different one. It really makes no difference. Nothing of lasting consequence ever happens. Team Iron Man, consisting of Black Panther (Chadwick Boseman), Iron Man (Robert Downey Jr), Vision (Paul Bettany), Black Widow (Scarlett Johansson) and War Machine (Don Cheadle). Spiderman (Tom Holland) is also on Team Iron Man, but he is not in the picture. Also, like in Captain America II, Civil War’s storylines run out of puff long before the film’s climactic battle(s). Viewers can be forgiven for forgetting (or even for failing to understand) why Captain America and Iron Man are fighting one another by the end. Then again, one could say that about pretty much all the Marvel comic-book films really. And, strangely enough, that is the point: it doesn’t matter. That is why viewers like Marvel comic-book films and why the studios keep churning out more of them. Over-all, Captain America III: Civil War is an entertaining, light-hearted film. It is funny and action-packed. Yes, those who have seen other Avengers-related films have probably seen it all before, but who cares? Audiences go into comic-book films, like Captain America III, wanting to enjoy themselves, to watch an ensemble of superheroes beat each other up, and to laugh. The movie delivers, which is more than what can be said for another film about an ensemble of superheroes that fought one another recently. Batman v Superman…? The title alone draws a sigh. How can a mortal defeat an immortal? How can a man defeat a god? These questions already hint at problems with the film and that is before its 151-minute running time begins. And then there is the problem of Director Zack Snyder, and the sigh lengthens. Batman v Superman: Dawn of Justice was doomed from the start, wasn’t it? The villainous Lex Luthor (Jesse Eisenberg), getting in away of a first and tense encounter between Clarke Kent (Henry Cavill) and Bruce Wayne (Ben Affleck). Batman v Superman (BvS) is about… well, that is another of the film’s many problems. The first 90-100 minutes are a convoluted, chaotic and inconsistent muddle just to pit Batman (Ben Affleck) and Superman (Henry Cavill) in a fist fight against one another. And this fist fight, which comes to include Wonder Woman (Gal Gadot) and Doomsday (aka the Cave Troll from Lord of the Rings I: The Fellowship of the Ring) goes on for an Earth’s turn. One would have thought that Zack Snyder had learned his lessons from Man of Steel and not put in a long (pointless and boring) fist fight in which collateral damage is caused on a colossal scale. (The first two-thirds of BvS bangs on about how much of a menace Superman is because of the collateral damage he caused in his flying fight with General Zod.) But no. The fight scenes at the end of BvS go on for even longer and cause even more collateral damage than in Man of Steel. It is quite astonishing, really. What is not astonishing, however, are the twists in BvS. Worse, they are not in the least surprising. (The trailer gives most of them away anyway.) One twist in particular, which has to do with Clark Kent’s and Bruce Wayne’s deceased mothers, is downright stupid. Who thought that was a good idea? Was it you, Snyder? Really? A fire-eyed Doomsday, ready to destroy all of mankind. Weta are behind the design of this ‘terrifying’ monster. Alas, the same company have used this monster before and he was defeated then. So what chance of him surviving this time around? Whether Snyder or Nolan are to blame for the paucity of BvS, it should be noted that the actors are entirely blameless. In fact, Henry Cavill, Ben Affleck, Jesse Eisenberg, Jeremy Irons and Amy Adams should be commended for trying so damn hard to make something of this train wreck. No-one can question their efforts. Although, Clark Kent/Superman is by nature devoid of character, making him somewhat boring to watch; and Lex Luthor… well, it is hard to say what Snyder was aiming for with the character. Villains can be scary, cunning, honourable, witty, sadistic or cruel (or mixtures of all those traits). But villains cannot be annoying, and Jesse Eisenberg’s Lex Luthor is bloody annoying. As a result, one wants him dead the moment he introduces himself and for all the wrong reasons. Lastly, it should be said that even this disaster of a movie has some positive points. The relationship between Bruce Wayne and Alfred is one such point. Alfred might be the commander-in-chief of Bruce’s arsenal instead of his butler (just go with it), yet whenever the two of them are together on-screen the scenes are genuinely enjoyable and wryly funny. For a film that takes itself way too seriously (but has stupidly unrealistic fight scenes), Bruce and Alfred strike the right tonal balance so as to make the jokes apt for their circumstances. Superman and Batman on the same side (shocking! ), along with Wonder Woman (centre, Gal Gadot), to take down Doomsday. The other major positive point is the visuals. Credit where credit is due: Snyder knows how to make his products look shiny. It is just a shame that the visuals have no substance under the gloss. The Batman and X-Men franchises have undergone similar arcs and reboots in relatively recent times. 1997’s Batman & Robin and 2006’s X-Men 3: The Last Stand were so bad that the franchises were torn up and magnificently re-started in the form of 2005’s Batman Begins and 2011’s X-Men: First Class. And just as 2008’s The Dark Knight was a great sequel to Batman Begins, so Bryan Singer’s return to the X-Men franchise with X-Men: Days of Future is a great continuation of First Class. Storm (Halle Berry), Professor X (Patrick Stewart), Blink (Blingbling Fan), Magneto (Ian McKellen) and Wolverine (Hugh Jackman) decide upon their plan of action, whilst watching in horror as the Sentinels attack. 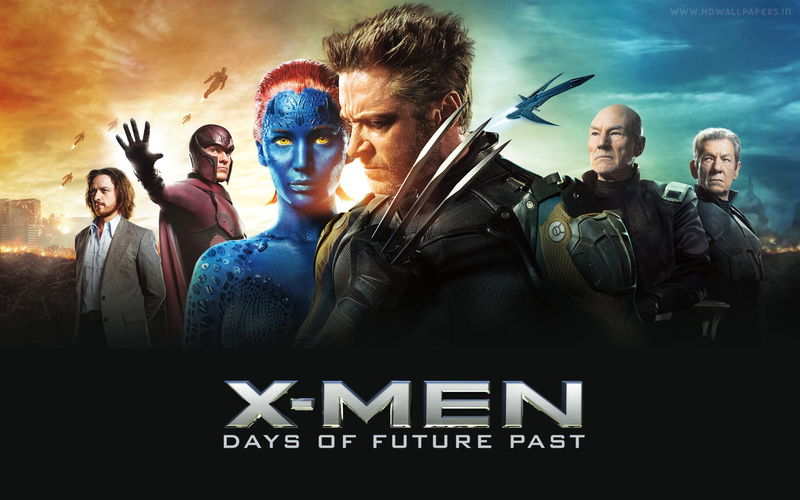 X-Men: Days of Future Past is loosely based on the comic-book with the same title. The movie starts in the apocalyptic, present day or the near future. Led by the reunited Charles Xavier/Professor X (Patrick Stewart) and Erik Lehnsherr/Magneto (Ian McKellen), the last handful of mutants are trying desperately to hold out against the invincible, changeable Sentinels. With the situation hopeless, Professor X, via Kitty Pryde (Ellen Page), sends Logan/Wolverine (Hugh Jackman) back in time to 1973. Professor X’s hope is that Wolverine can persuade a younger, mentally-broken Charles (James McAvoy) to re-establish his friendship with Erik (Michael Fassbender) and stop Dr. Bolivar Trask (Peter Dinklage) from creating the Sentinels. X-Men: Days of Future Past has an engaging storyline that interlinks the two time-periods within the film nicely, if not without problems for some of the other X-Men films. Indeed, Days of Future Past may come at the expense of some elements of the three original X-Men movies and may even black-out the existence of the two Wolverine spin-offs (but that is probably for the best). Moreover, Days of Future Past involves itself in crucial events in history, in the same way that First Class did with the Cuban Missile Crisis and the Civil Rights movement in America in the 1960s. Like with its prequel, Days of Future Past does this in a smart and hilarious way. 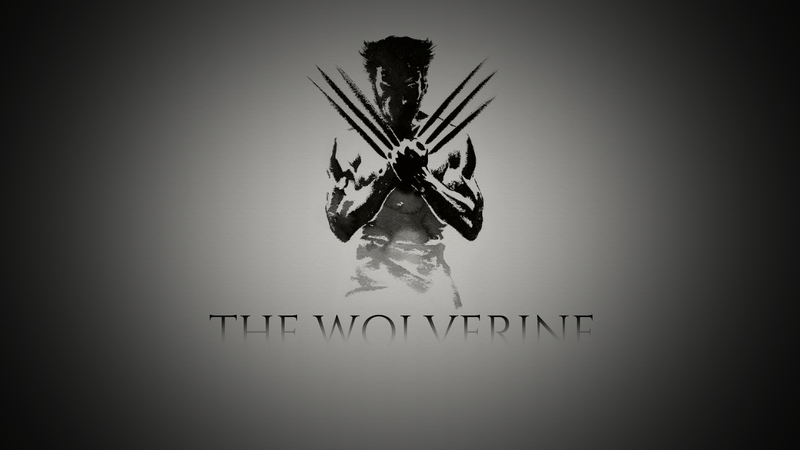 This, combined many in-jokes and phenomenal special effects, makes Days of Future Past very enjoyable to watch. 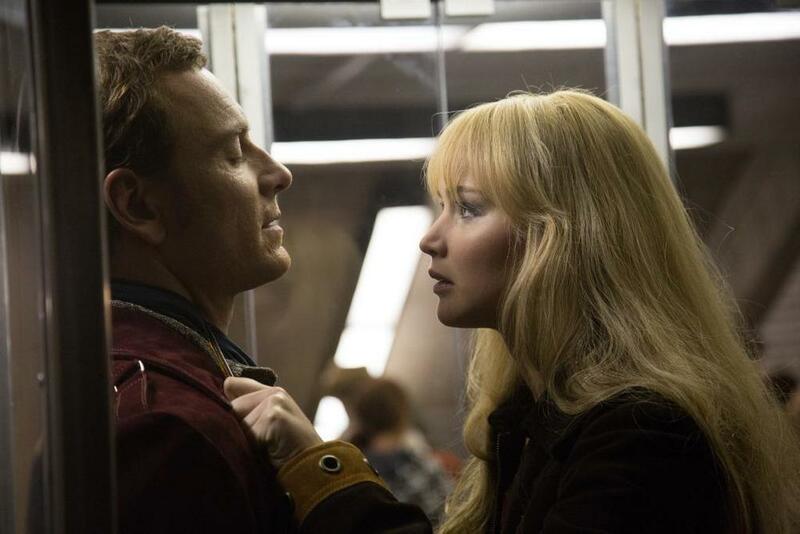 Raven/Mystique (Jennifer Lawrence) finds Erik Lehnsherr/Magneto (Michael Fassbender), who finds out that she is still furious with him about something that happened off-screen in the past. 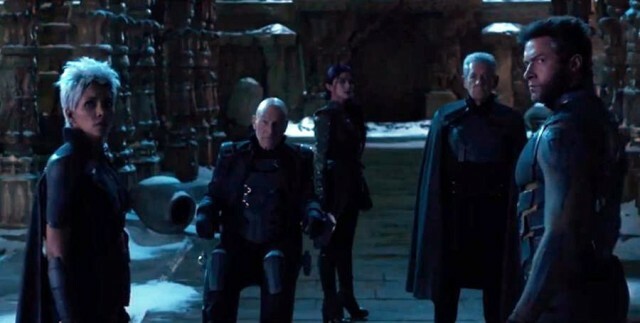 Nevertheless, what makes (First Class and) Days of Future Past so interesting is that it is not about a showdown between Good and Evil; it is about the friendship/rivalry of Professor X and Magneto. These two characters may not have the depth or the darkness of Bruce Wayne in Christopher Nolan’s Dark Knight Trilogy, but their personalities and differing ideologies make for a refreshing change to the crash, bang, boom nature of other superhero movies like all five Spiderman films, Iron Man III and Captain America II among countless others. Additionally, the dialogue and acting in the latter two X-Men films is significantly better than in those above-mentioned superhero movies, with the exception of The Dark Knight Trilogy. All the actors in Days of Future Past (old and new) are brilliant without fail. Whether it is Sir Ian McKellen or Michael Fassbender, Magneto is played with the same vigour and damaged personality as in First Class; Jennifer Lawrence is wonderful as the vulnerable Mysterique, whose unhappiness in her own skin has led her to take vengeance against anyone who takes a dislike to mutants; Hugh Jackman once again shows that he owns the Wolverine character; Patrick Stewart and James McAvoy play magnificently as Charles Xavier, although McAvoy undoubtedly has the more demanding parts of the role; and Peter Dinklage is great as Dr. Trask, even if his accent switches from his normal New Jersey accent to Tyrion Lannister’s English accent for no obvious reason. The above-mentioned characters may dominate Days of Future Past, but they are only a minority of the swollen cast. Consequently, a great many characters are not given much screen time, including new mutants like Blink (Bingbing Fan), Sunspot (Adan Canto) and Warpath (Booboo Stewart). These mutants have a back-story and it would have been good to hear it. Dr. Bolivar Trask (Peter Dinklage) explaining why he needs to create the Sentinels (which come to look remarkably like the machine-monster Thor fights in Thor I). 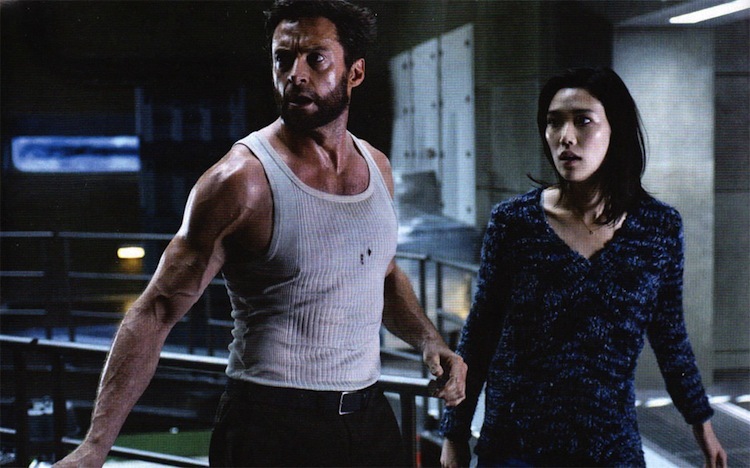 And, lastly, the film deviates quite significantly from the same-named comic-book; for example, in the comics, it is Kitty Pryde who goes back in time, not Wolverine. But if comic-book geeks are honest, even they would accept that Kitty Pryde cannot dominate the screen (or hold viewer’s attention) in the same way that Wolverine can. And besides, these alterations should not knock down a film that achieves so much by way of its ambition and is so entertaining. Over-all, X-Men: Days of Future Past is a really good film. It has its flaws and it would have been nice to learn more about the non-central characters, and to see some of the events that happened off-screen. But, on the whole, Days of Future Past is amusing; it deals well with its two competing time-periods; continues the conflict maturely between Charles Xavier and Erik Lehnsherr; and is a credible sequel to X-Men: First Class. Now all the franchise needs, like with The Dark Knight Trilogy, is a satisfying conclusion in its third instalment, X-Men: Apocalypse.